I met Elise Stokes recently in a forum post discussing clean content in children’s literature. I was intrigued enough by our conversation to order her book, Cassidy Jones and the Secret Formula. I’m glad I did! Not only are its pages free of objectionable content, they contain all the ingredients required for a superb adventure. The story is well-written, compelling, and exactly the sort of teen read my daughter loves. Cassidy Jones doesn’t stand out in a crowd. She isn’t popular, nor is she a bully. She can’t climb a rope in PE to save her life, and she has an allergy to sports equipment in general. In the sea that is Queen Anne High School, she has “adopted the strategy of being a sardine. A sardine wasn’t exciting, but it was safe.” She’s the very last person you’d ever suspect of having mutant genes and super powers. But the morning after an accident in the lab of a famous scientist, Cassidy finds that her senses, emotions, reflexes, memory and strength have all been amplified. She’s been turned into a finely-tuned weapon, but one as unstable as hydrogen in a smoker’s lounge. As Cassidy learns to control her new strengths, the scientist suddenly disappears. Distrustful of the police, Cassidy teams up with Emery, the scientist’s brilliant teenage son, to locate her and bring her safely home. After all, the woman is the only one who can help Cassidy now. But Emery warns her that enhanced abilities place her in grave danger. The ones who kidnapped his mother would stop at nothing to control Cassidy and use her powers for their own evil purposes. And then someone even closer to Cassidy disappears. Ms. Stokes employs a very solid writing style. It’s not particularly beautiful or witty, but it flows along as strong and easy as a Mississippi current. It’s a natural base for the hard-hitting, fast-moving action that zips above it like a powerboat, tugging us along in its wake till the final pages. Pages that, I must say, compel me into the sequel. I mean, who is the strange new character at the end? Who has the item missing from the lab? And what, I want to know, does this mean for Cassidy’s future? But I’m getting ahead of myself. First I need to let you know that Ms. Stokes has crafted Cassidy Jones in such a way that even guys will enjoy getting in on this adventure. Don’t let the girly name in the title throw you, fellas. The book isn’t girly. It reads like a comic book, with a gaudy, insane villain, unlikely heroes, and high-powered action sequences. Numerous references to well-known characters like Clark Kent and Wolverine back up this comic book illusion, as does Cassidy’s little brother’s fetish with all things superhero. And it’s clean! I highly recommend this one. The sequel, Cassidy Jones and Vulcan’s Gift will be released this fall. Watch for the date on Ms. Stokes’ website. Tomorrow – interview with author Elise Stokes. 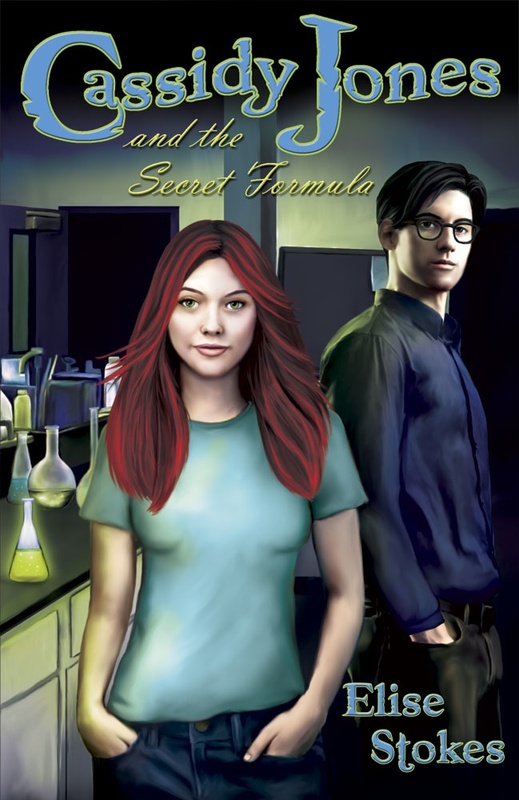 Super-powers, lab experiments gone bad, sounds like a book for me!